Q & A Collections: Implementing The Common Core is the headline of one of my Education Week Teacher columns. It contains links to all the columns on Implementing The Common Core from the past six years! I’m obviously not a real big fan of Common Core standards, and am a bit skeptical about its practical impact on what happens in the classroom. Nevertheless, they’re here, and I thought it would be useful to readers and to me to begin to collect some practical and helpful tools. I’m starting off with a few , and hope readers will contribute a whole lot more — for all subjects and grade levels. Not “The Best,” But “A List” Of Mindmapping, Flow Chart Tools, & Graphic Organizers has a section devoted to Common Core-related graphic organizers. 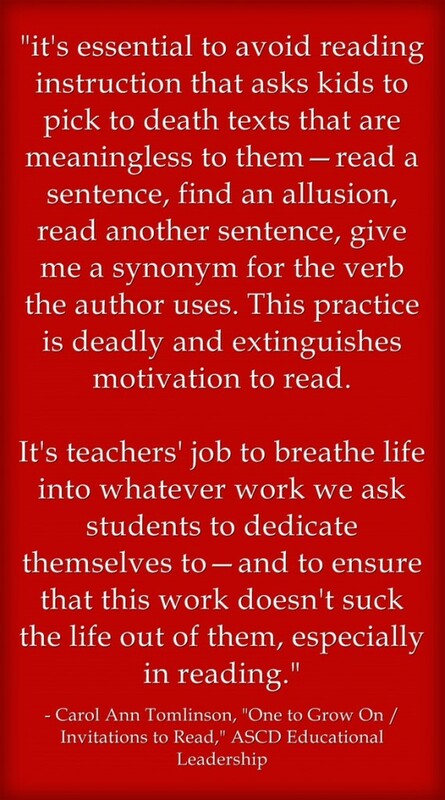 My Ed Week post, Best Ways to Prepare Our Students for CCSS in Language Arts. Resources for Understanding the Common Core State Standards comes from Edutopia. The folks at Engaging Educators have really been on top of it. You can read Ben Curran’s review of the book, “Pathways To The Common Core.” Several of my colleagues read it at a week-long California Writing Project workshop in June, and they, too, spoke highly of it. Ben helped organize a Twitter chat with one of the authors, and its archived here. They’re going to continue the chat later in July, and you can read the details in Ben’s book review.Ben also keeps a diigo list on the Common Core. Spotlight On Implementing The Common Core Standards comes from Education Week. Four Myths About the ELA Common-Core Standards is by Dina Strasser and Cheryl Dobbertin at Education Week Teacher. ASCD has a free newsletter called The Core Connection. 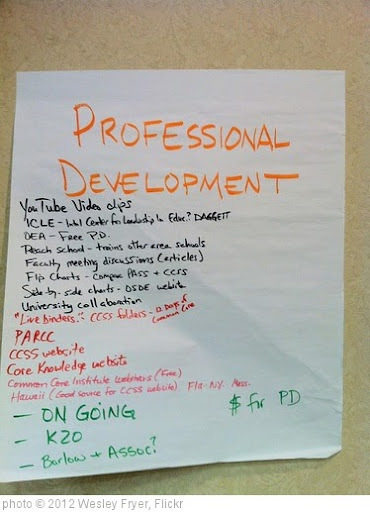 Project-Based Learning and Common Core Standards is also from ASCD. Nine Ways the Common Core Will Change Classroom Practice is from The Harvard Education Letter. The Common Core and Bloom’s Taxonomy is from Reach Common Ground. ASCD recently launched a new free digital tool for Common Core planning. It’s called EduCore, and you can learn more about it here. CCSS: Take a Deep Breath is from MiddleWeb. Education Week Launches Common-Core Newsletter is from…Education Week. Common Core Instruction, Like All Good Instruction, Is Not About Fish Tossing is by Chris Lehman. 5 Things Every Teacher Should be Doing to Meet the Common Core State Standards is by Lauren Davis at Eye On Education. Common Core Implementation Center is from ePals. Thanks to Renee Moore for the tip. ASCD has created a Pinterest Board for Common Core State Standards. The International Reading Association Secondary Reading Interest Groups has an interesting newsletter on Common Core and reading. The Common Core Ate My Baby and Other Urban Legends is a very useful article from ASCD Educational Leadership. Why Read-Alouds Matter More in the Age of the Common Core Standards is from ASCD Educational Leadership. 7 Actions that Teachers Can Take Right Now: Text Complexity is from The Text Project. Fiction or Nonfiction? Considering the Common Core’s Emphasis on Informational Text is from The New York Times Learning Network. Achieve The Core seems to have some helpful resources on Common Core implementation, and it seems like it will only get better now that the two major teachers unions are working with them. Preparing Students for Common Core ELA is by Tom Hoffman and may be the best short and sweet advice you’re going to find. Thanks to Alice Mercer for the tip. Text Project has a lot of useful resources. The Common Core State Standards: Misconceptions about Informational and Literary Texts is from The University of Arizona. Q & A Collections: Implementing The Common Core is one of my posts over at Education Week Teacher. It brings together all my posts there on…the Common Core. Common Core & Ed Tech looks like a useful blog. The Institute For Learning also has some useful resources. The Core of the Common Core, Part 1: The Anchor Standards for Reading is from Burkins and Yaris. It provides metaphors and analogies in explaining Common Core. The same site has a Periodic Table of Common Core Standards. Thanks to Wendi Pillars for those two resources on Twitter. Two Great FREE Apps from Mastery Connect is from Bill Ferriter. I really like the chart you’ll find at the Hechinger report titled Six ways Common Core changes English and math classrooms. Tackling Informational Text is the theme of an issue of ASCD Educational Leadership, and it’s now online. You Want Me to Read What?! is by Timothy Shanahan. Points of Entry is a typically excellent piece by Nancy Frey and Douglas Fisher. ‘We Can Do Better’ : An Interview With Jim Burke is one of my posts over at Education Week Teacher. What Does It Mean to “Align” PBL with Common Core? is from The Buck Institute For Education. The Common Core FAQ is from NPR. What Does A Good Common Core Lesson Look Like? is from NPR. This Ed Week Teacher piece brings together all my posts from the past three years on implementing the Common Core. Finding Overlap in the Common Math, Language Arts, and Science Standards contains a very helpful Venn Diagram (it’s also embedded below as a Pinterest Pin). Online Library of Common-Core Resources Expands is from Education Week. Common Core Redoes the Math is part of a special Ed Week report on math and Common Core. Q & A Collections: Implementing The Common Core is my latest Education Week Teacher column. It contains Links to all posts related to implementing the Common Core from the past four years. Teaching Tolerance, the organization justifiably well-known for developing very good social-justice oriented teaching resources, has unveiled: “Perspectives for a Diverse America… a literacy-based curriculum that marries anti-bias social justice content with the rigor of the Common Core State Standards.” It’s a very ambitious site, and I think most teachers will find the highlight to be 300 great texts, often from larger works, all set-up to print out and copy for students. Those are a gold mine! Common Core in Social Studies Looks Like ‘the Work of Historians’is the headline of the last post in my two-part Education Week Teacher series on Common Core in the Social Studies classroom. Tech Helps us ‘be a Little Less Common & go far Beyond the Core’ is the headline of one of my Education Week Teacher columns. In it, Kristin Ziemke, Amber Teamann, Erik M. Francis, Shelly Lynn Counsell, Marsha Ratzel, and Richard Byrne share their ideas on the role of tech in meeting the Common Core Standards. Understanding the Common Core State Standards in California: A quick guide is from Ed Source. Understanding vocabulary standards: Building students’ skills is from Achieve The Core. These are just the tip of the iceberg. What else would you recommend? Thanks for speaking so highly of our work, Larry. I do have to say that while I can take credit for starting up the #CCchat hashtag for sharing Common Core resources on twitter, I can’t take credit for organizing the chat about the Pathways book. Credit for that goes to @PaulWHankins and Chris Lehman, one of the book’s authors. I respect all people’s opinions about the Common Core, and while I’d consider myself in the “pro Core” category, I do think it’s critical that conversations about the standards are happening and that voices from all sides are being listened to. By no means do I feel that I’m “right” and opponents are “wrong.” That kind of attitude exists in too many circles of our society, and in the world of education, already. That being said…my philosophy on the CCSS is simple…they provide us with a golden opportunity to shift teaching and learning from rote, 20th Century styles to 21st Century methods which focus on critical thinking, analysis, problem solving, and more. In a nutshell, that’s why I’m excited to see how things play out. Again, thanks for mentioning Engaging Educators…we really want to work hard to help teachers prepare for the CCSS transition. This prezi is something I created for inquiry work with teachers in ELA Common Core. They found it pretty helpful. I have also created http://algebra1teachers.com to help Algebra teachers implement the Common Core. Thank you so much for posting these resources, I have not seen some of them and they look great. Two sites that I share with teachers in our district are http://www.readworks.org/ and http://www.teachingthecore.com/. 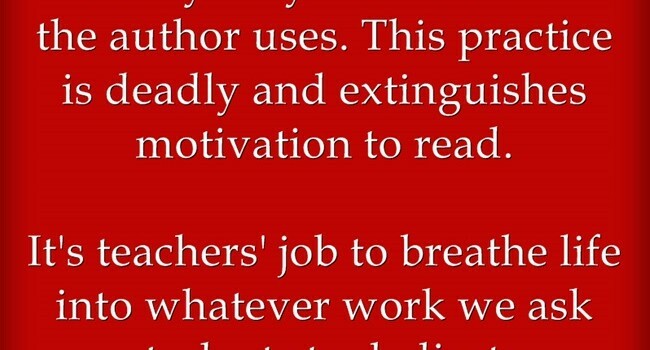 The latter site is a teacher who is humorously working his way through the CCSS. I have lots more resources that link specifically to sites with lesson plans or strategies for ELA teachers on my Scoop.it page at http://www.scoop.it/t/ccss-ela-lesson-plans. Help Teaching is great site with many common core resources. It has a large library of common core ELA and math worksheets, and has a test maker tool allowing custom worksheets to be created from a library of over 15,000 aligned questions.